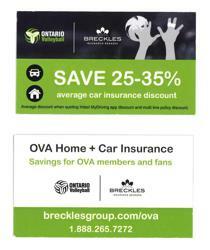 The OVA is proud to partner with Breckles Group to promote safe driving habits that will help get you to and from your next OVA event safely. Check here regularly for tips, facts, articles and videos on safe driving habits and TAKE THE DRIVE SAFE PLEDGE! "When my current insurance provider raised my rates despite no claims I decided I may as well get a competitive quote through Breckles and the OVA since I’m a supporter of their “Drive Safe” campaign. I was pleasantly surprised to learn that I would save over 15% compared to my previous provider so I have switched my policies over to Breckles. Getting into an accident is an extremely stressful situation and something we would prefer avoiding entirely. 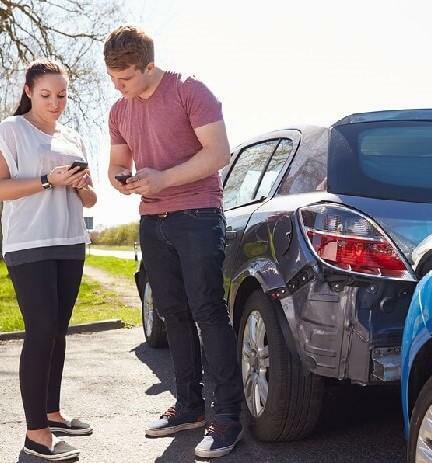 Unfortunately, accidents happen and Breckles Insurance Brokers has some good tips to keep you safe if you're involved in one. Stay at the scene of the accident. Do not leave! Move your vehicle to a safer location, ie. At the side of the road. Make sure to not leave the vehicle while a live lane of traffic is beside you. Make sure you are safe before exiting the vehicle. Ensure to turn on your hazard signal. Call emergency services (911) if there are potential injuries or if you are suspicious of any criminal activity. Do not hesitate to call. As soon as you can take down information, record the time of day, weather conditions, and location of the accident. Call a tow truck if your car is not drivable. Make sure before hand to find out the tow truck cost and avoid signing any work orders. It is not a standard practice for tow truck drivers to issue a work order so if it necessary to sign one we recommend reading it in full detail. If a police report has not been prepared at the scene and the vehicle is not drivable, it is recommended to have the vehicle towed to the nearest Collision Reporting Centre. The amount of damage caused to the vehicle determines the need to report a collision or not. If the damage to both vehicles combined exceeds $2000, then by law you are required to file a police accident report. If you do not report an accident, you may be charged with leaving the scene of an accident. You may be subject to fines, license suspension of imprisonment. In Ontario, you must report the collision within 24 hours of the occurrence. You can either call it in or visit a collision reporting center in your area. You must report the accident to the insurance company, regardless of whether the damage incurred is under $2000. You must also report the accident, regardless if you are paying out of pocket or not. If you have purchased your insurance through a broker and there is minor damages to your vehicle, we recommend that you consult with your broker before calling the insurance company. However, in the event of any major damage, bodily injury or emergency, its is best to call the insurance company directly. This article is intended to give parents some ideas about introducing driving and helping their kids build the necessary responsibility to be safe drivers on the road. Something we can all agree on is that parenting is a life long commitment regardless of your kid’s age. One of the most important jobs of being a parent is helping your kids become responsible and mature members of society – especially when it comes to driving. Most can agree that the late teenage years is the most sensitive time for both parents and kids. Late teens becoming new driver is commonly one of those sensitive moments, and its important to reach out for some advice on how to manage this. We have a few tips we can share but would first like to start off with a baseline discussion around the value of money and the expense challenges associated to driving. Studies have shown a direct correlation to responsible spenders and responsible drivers. 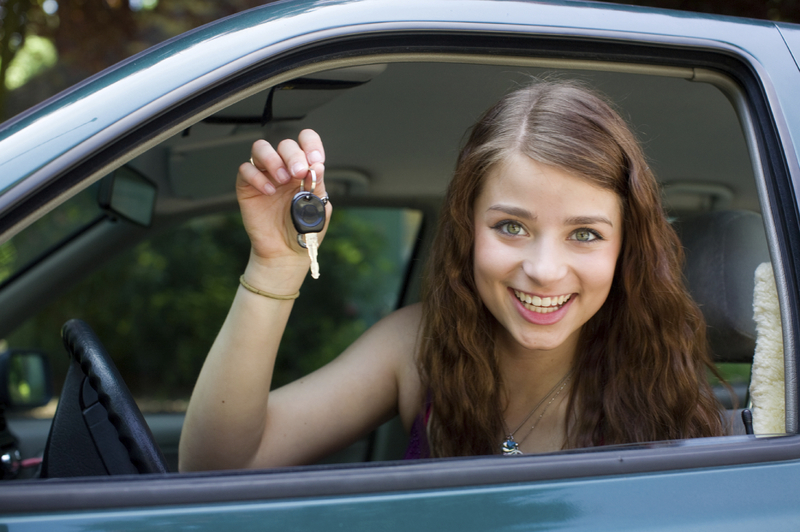 As brokers at Breckles Insurance, we often see teenagers gifted with cars and parents covering expenses from A-Z. This often seems to be problematic due to the fact that teenagers, at sensitive stage in life are not able to take on their first (and most important) financial challenge in life. Without understanding the high expense of vehicle ownership and insurance responsibilities, we often see a trend towards poor driving and insurance history. We recommend that parents partner with their kids and embrace this stage as a life learning skill that will help everyone down the road – no pun intended. Due to this problem that we see happening more and more, we have come up with some suggestions for new teenage drivers. Enforce the basic rules of the road. We understand that few drivers on the road are perfect and obey all the rules. It is a fact that the average driver tends to exceed the speed limit by 5-10kmph. The problem starts when teenagers observe this behavior and start driving 15 + kmph because they feel it is normal. Eventually, through the means of a traffic ticket, they learn to not exceed the speed limit the hard way. Another common cause for traffic tickets that is completely avoidable, is rolling through a stop sign. If there are 2 important rules that we would suggest to new drivers to obey especially. Firstly, keeping an eye on the speedometer, and second, coming to a complete stop at a stop sign. Lastly, to address a major problem, we consistently encourage our clients to look away from their handheld devices while driving. Getting a ticket for distracted driving is considered a major ticket, and will increase your rates drastically, especially for young drivers whom already pay high premiums. Following these rules, it will reduce the chances of getting a ticket dramatically, as well as to help in keeping our roads safer. Have some skin in the game. 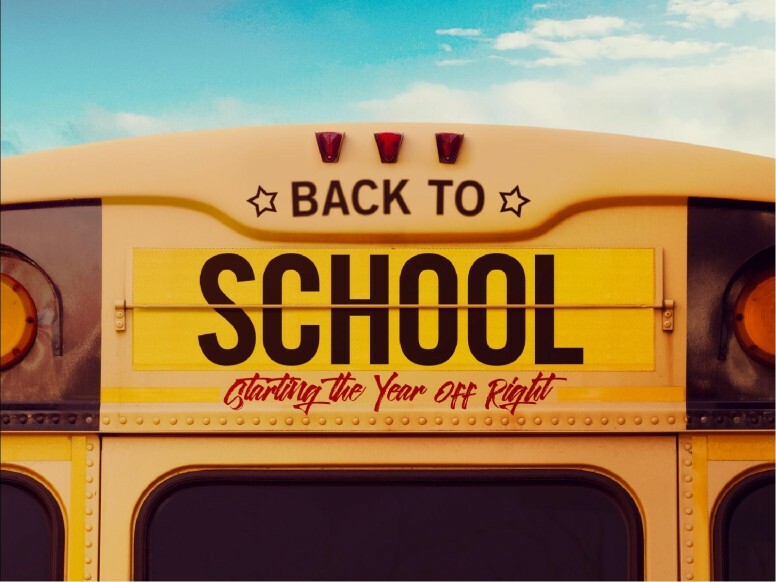 If kids, who are new drivers, contribute to the costs of driving, it simply teaches them responsibility, as well as encouraging proactive responsible behavior. Some common types of contribution we see, are kids paying for their own gas, and their insurance, or at least a portion of it. This is good for 2 main reasons. Firstly, paying for gas encourages kids to drive normally, and economically. This means less aggressive maneuvers and more passive, safe driving. They also learn that driving everywhere costs money, and to be more mindful of the fact. Secondly, paying for insurance raises awareness to how traffic infractions become costly. On a young drivers record, one speeding ticket can mean hundreds more per month. This can help teach that reckless driving is not worth it. Build a relationship with your insurance broker – Here at Breckles, we try and encourage our clients and anyone covered under the policy to have a relationship with us. This is important for several reasons. Firstly, it allows us to have a better idea of your needs, and helps us to pick the best possible policy to suit you and your family. Secondly, having your teenage kids build a relationship with us, can be highly beneficial due to the fact that it allows them to have an idea of what it will cost to drive recklessly, and what it will do to their record. We say this because on average, a minor ticket can result in a 15% surcharge for young drivers. To show this in terms of numbers, the average teenage male driver pays about 5000 per year, when they are registered as the principal operator. A minor ticket could result in that premium skyrocketing up to $5750 and this will stay for about 3 years. In addition, it is important to remember not to miss any payments. Missing a payment could result in the company cancelling the policy – and with a cancelled policy black mark on your insurance history, this could result in a surcharge with other insurance companies, and potentially force you into high risk insurance, which on average costs $10,000 per year, thus outlining the importance of keeping on top of your insurance. Now that it’s the season to start buying backpacks and school is back in session, traffic is only going to get worse. What better time than now to take a glance at road safety!? Here are some quick tips to remember for this fall season! With kids running around, it is extremely important to be extra vigilant. School busses stop frequently and put a stop arm out with flashing lights. Remember, it is important to come to a complete stop when lights are flashing. Watch out for the speed limit signs around the neighborhood. In all residential school zones, the speed limit is 40 km/h. The Toronto government is currently in the process of increasing fines for speeding in school zones, and they may double if approved. Furthermore, they are in the process of approving photo radar systems for use in these areas. Too often young children get hit by careless drivers while getting dropped off or picked up at Toronto schools. Please help do your part and keep our kids safe. We all know how slippery our roads get here in the winter time. If you get winter tires, not only can it save your life in a scary situation, but It can save others as well. All season tires are great, as well as cheaper, but they simply don’t get the job done the same way real winter tires do. As an added bonus for purchasing winter tires, you may be entitled for a cheaper rate on car insurance. Purchasing these tires can decrease the amount of money you spend on car insurance. Keeping your eyes on the road and staying focused will most often bring you to your destination safely. Unfortunately, our daily commute is fraught with too many temptations to take your eyes off the road. Distracted driving is the leading cause of car accidents and you increase your odds of getting into an accident every time you take your eyes off the road. A small mistake like checking your phone while driving could change your life, and potentially others, for the worst. If you’re lucky enough to avoid an accident you could still be pulled over by the police for driving distracted. You could probably imagine the life changing impact of getting into an accident. We see it all the time – media reporting on tragic car accidents that we often say could have been avoided. However, we don’t know what happens to drivers that are fortunate enough to avoid accidents but instead get pulled over by the police for distracted driving. This is something that does not make media headlines but could have a serious impact on your driving abstract. When it comes to insurance, tickets are used to determine your insurance rates and eligibility. Depending on the ticket, you might have to pay a bit more for insurance or might not meet the eligibility criteria and forced into expensive high risk insurance. There are three levels of insurance – minor, major and serious. Being charged for distracted driving is major conviction and will definitely have an impact on your insurance. Depending on your insurance history, a major conviction will often trigger an insurance surcharge for three years and could often put you into high risk insurance which is approximately $2000 more annually. Over a three-year period this could cost you $6000 in high risk insurance just because you picked up the phone while you were driving. Not fair? Well consider the alternative, picking up the phone while driving runs the risk of an accident that could cause significant loss to you and others around you. The average car accident claim due to distracted driving is $500,000 due to medical expenses and vehicle repair….or sometimes death to innocent drivers. So rationally thinking, expensive fines and insurance surcharges is fair – and should be a good life lesson to ensure the alternative never happens. It’s simple. Reduce the risk of injury to others or financial loss by driving distracted free. Out of sight, out of mind. Put your cell phone in the glove box to avoid temptations. Plan ahead so you’re not rushing to your destination. Rushing could force you to multi task while driving which is a major reason for distracted driving. Pull over to text or dial. If you leave enough time in your commute you’ll have enough time to pull over and handle important communications. Otherwise, it can usually wait if it’s less important than your safety. Passengers should not be a distraction. Passengers riding shotgun should take on the responsibility of being a good co-pilot. Shotgun riders need to be the second set of eyes on the road and assisting the driver to keep focused on the task at hand. As for the backseat riders, they should enjoy the ride and ensure they are not a distraction to the driver (aka backseat drivers). OVA members can save 25-35% on home and auto insurance. Learn more about how you can improve your driving while saving money on your car insurance. Explore an innovative way to insure your car with Breckles. Visit www.brecklesgroup.com/ova ﻿for more details!